→Is Awol a Scam Or #1 Online Business Training? – Hear the Truth! Is Awol a Scam Or #1 Online Business Training? – Hear the Truth! 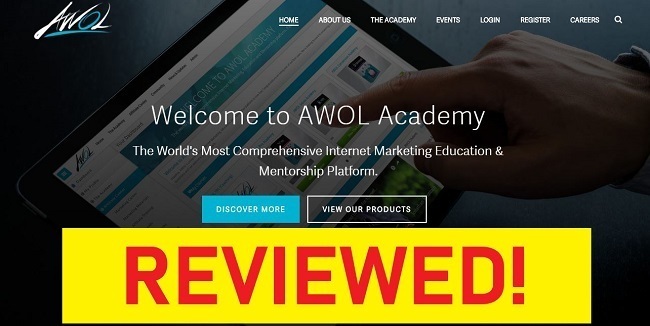 ​Welcome to my Awol Academy Review! In this article, I am going to reveal you the truth about this popular Internet marketing training system. There has been lots of confusion around this system and thousands of people are asking online, "Is Awol Academy a scam?" I will answer that and all the other questions in this brutally honest review. Are you ready? Let's have a look! NOTE: By reading this review, you may save +$10,000 of your money! Product Type: Internet Marketing Training. Best for: Rich people who don't mind paying extra for an expensive training. Summary: Awol Academy is not a scam. Their training teaches you some valuable tips and ideas for making money online. However, they have tons of upsells which makes the program extremely expensive unless you're already a millionaire. Recommended? Not really. There are better options available. See My #1 Recommended Online Business Training! Before you dive into my article, I want to give you an opportunity to take a look at my informative and helpful Awol review on YouTube. I am sure you'll enjoy. If you have any questions, don't hesitate to ask me and I will be always happy to help you out! Awol Academy says on their homepage that "It's the world's most comprehensive Internet marketing training platform". Their claim is of course very bold but at least it describes right away the purpose of their product. Awol Academy is created to teach you how to do Internet marketing and in the other words how to make money online. During the years, we have reviewed hundreds of Internet marketing training platforms on YourOnlineRevenue.com so we have a good experience on how this kind of programs usually work. In the next chapter, I will reveal you the "ugly" truth about Awol that they may not like you to know. The idea is that you start with the first one which is Pro Academy and it only costs $99. If you are from a Western country, you know that $99 isn't very much money and almost anyone can afford a training/online business tool for that price. However, when you have finished Awol's Pro Academy course, they are trying to sell you the next system. And finally the last product which is called Awol Elite. The cost of Awol Elite is around $10,000. Sometimes it costs a bit less but still the price is way over $7,000. They of course allow you to promote the system for other people in order to earn commissions and your money back. Awol pays a big fat 60% commission for most of their products to affiliates. A big part of their training concentrates on how you could promote their program which brings me a bit pyramid scheme-ish feeling. Do you already recognize what happens to somebody who follows the Awol training diligently? He will first buy the training for $99 and think that this is it. However, he will face tons of upsells and eventually end up paying around $10,000 for a single product. If he goes through the whole training, the cost of all products that he needs to buy will be almost $20,000. I don't know about you, but in my ears $20,000 just for these tools sound quite a lot because I know that you could get them for way cheaper price in better places. That being said, Awol Academy is not a blatant scam because they are showing already that their products are expensive. 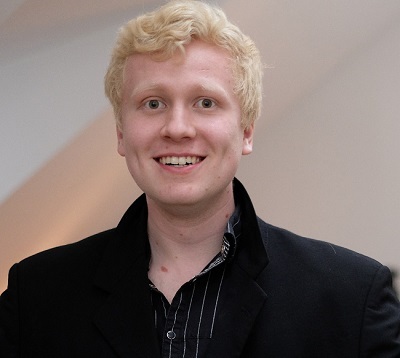 In addition, they provide some value inside the training even though it's highly overpriced. Awol founders know that this kind of upselling strategy is a highly profitable business for them. The downside is that it will eat most customers alive. The founders will be laying on the beach with big stacks of money while most customers will just end up wasting lots of money. Tired of Overpriced Training? Learn a PROVEN Way to Make Money Online! Over the years, there have been several similar training programs and Internet marketing tools like Awol. They work with an idea that they initially give you the first product for free or for just $1. Then they have tons of upsells all the way up to tens of thousands of dollars. Some of those systems have already went to bankruptcy, officials have put them down or FTC (Federal Trade Commissions) attacked them while some systems are still active online. Let me present you a few examples of similar systems like Awol. In the USA, many individuals have been the victims of the MOBE system. They offer you free events, trials and other incentives to get started. In an event or in a free trial they try to sell you an online business system that costs around $500. If you buy it and go through their lessons, the next step is to buy their another system that costs already some thousands of dollars. Their goal is to move you up to their ladder so you would end up paying tens of thousands of dollars for their information products. Many people claim that the main focus in the MOBE system is just to teach you how you could promote MOBE for other people and earn commissions. In the other words, you pay a huge amount of money and then try to sell the same system for others trying to make your money back. For me it feels like a pyramid scheme-ish system. Below you can see my MOBE review on YouTube. I am a bit sympathetic towards their video but now I think that I could use more harsh words of MOBE because I have truly realized how their system works. One Internet marketer tried to lure me to Digital Altitude in 2017. I went through their free training and considered upgrading to higher levels. I made several calls with my Digital Altitude "coach" who tried to sell me the upper levels of the system. I realized that he was rather a salesperson than a coach. The same applies to MOBE coaches by the way. In Spring 2018 Digital Altitude was attacked by FTC because they had made a total consumer injury exceeding $14,000,000. These two systems (MOBE and Digital Altitude) are very similar. Actually, MOBE sued Digital Altitude claiming that DA is using their business. Digital Altitude collapsed afterwards because it was a pyramid scheme so we can pretty much assume what will happen to MOBE in the future. Some people could claim that AWOL falls into the same category with MOBE and Digital Altitude. I think it's still slightly better than those two programs because their marketing is a bit more open and they don't charge $30,000 per single product. My #1 recommended Internet marketing training is called Wealthy Affiliate. It's an online business community with more than 1,300,000 members and now it's growing faster than ever before. WA has a step-by-step training that has taken me and thousands of other individuals worldwide from complete beginners into full-time online entrepreneurs. When you join Wealthy Affiliate, I will send you a personal welcome message and I will help you to succeed. You can ask me anything you need and I will surely come up to you with an answer. You can also connect with Kyle & Carson (the founders of Wealthy Affiliate) who are multi-millionaires because of the Internet marketing. Then there are tons of other helpful people taking you hand by hand to your online success. You quickly notice that Wealthy Affiliate is a very helpful community where you will always get answers to all your questions. You can get started on Wealthy Affiliate here or read my full WA review here. When researching new products, I always take a look also what other people are saying about it. That gives me even a more comprehensive perspective and helps me to provide you always the best information on the Internet. I found out that it's pretty hard to find other Awol testimonials than those that are created by the Awol team and promoted on their own channels. Compare to Wealthy Affiliate that has hundreds of positive reviews from the customers all over the Internet. On the other hand, it's pretty easy to find lots of negative reviews of Awol. Many people are criticizing the system because of its high price and a bit shady marketing strategy (upsell strategy that I explained you before). Hard to find positive testimonials on Awol customers' website/social media. Easy to find negative Awol reviews written by experienced online entrepreneurs. Awol is BBB (Better Business Bureau) accredited since 06/29/2017 with the B rating. You can find there several positive and negative reviews as well. The following one made me think even more that Awol sounds to use the same strategy like MOBE and Digital Altitude that I described above. This review by Christine convinced me that Awol is a similar scheme like MOBE and Digital Altitude. Let me make a few comparisons between my #1 recommended online business training (Wealthy Affiliate) and Awol. Awol has tons of upsells all the way up to more than $15,000. 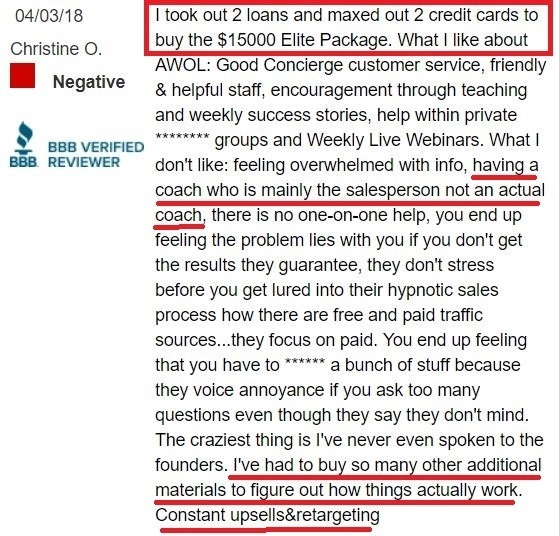 Christine explained in her review above that she needed to take 2 credit card loans to buy all Awol products and still she didn't get the full picture on how things work there. Wealthy Affiliate provides a free and a premium membership. I started out for the first 2 months with the free membership until I upgraded to the premium. The premium membership costs only $19 for the first month and afterwards it's $359/year (less than $1 per day) or $49/month. After the first month of premium I upgraded to the yearly plan and now I am paying less than $1 for the WA premium membership. WA has 0 upsells and the price hasn't risen even once during the last 12 years. Isn't that awesome? Christine explained in her review that she always needed to buy new products from Awol but still everything seemed unclear. The coaches were actually salespersons who tried to sell her always another product. Wealthy Affiliate, on the other hand, provides a step-by-step training that is proven to work. Thousands of online entrepreneurs have taken the steps that WA teaches and are nowadays making a full-time income online. Some of them make $10,000/month or even more. You can right away have a glimpse of how Wealthy Affiliate works. They offer 10 + 10 lessons for completely free. Take the first lesson here to understand how you can make money online. Awol is still a relatively new online business training their community/forum isn't that large. Wealthy Affiliate consists of more than 1,300,000 people where you can connect with successful online entrepreneurs directly and personally. You will always get answers to all your questions. In my opinion, WA beats Awol in all of these aspects. Forget Awol. 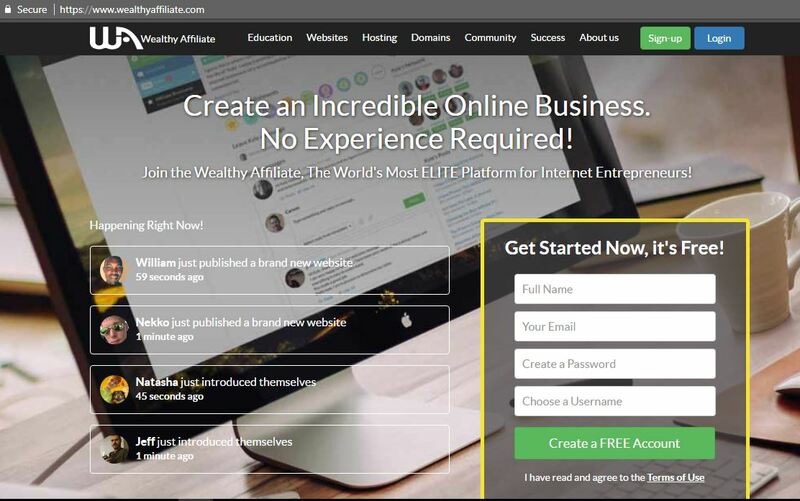 Get Started on Wealthy Affiliate for FREE! Conclusion - Is Awol Academy Worth It? Personally, I can't recommend Awol Academy. Numerous similar systems have gone to bankruptcy over the years and some of them have been closed by FTC (Federal Trade Commission). Awol Academy surely shares some helpful and valuable tips for online marketing but in my personal opinion their products are way overpriced. You will find better training and tools for a much cheaper price on Wealthy Affiliate. 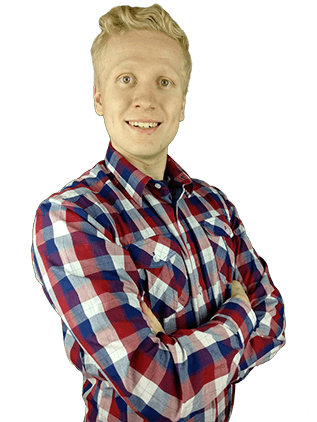 Click the picture below to see and learn how WA training has taken me and numerous other people from complete beginners into full-time online entrepreneurs. ​What kind of experiences do you have with Awol or similar high ticket online business systems? Have you already learned to make money online like I do?